Copper and Nickel coins "Christmas bells", 1 Lats. 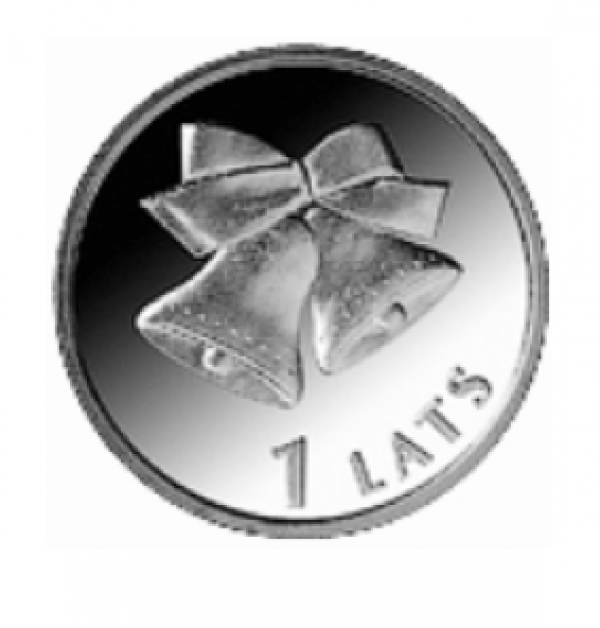 Coin "Christmas bells", 1 Lats. 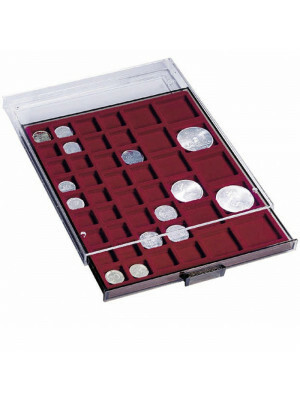 We offer to keep and systemize your coins in albums, coin boxes and coin cases. Accessories help to display, store and protect your collection. Please look for related products or contact us. People are familiar with the chiming of bells since long ago. Pagan cultures used to ring bells in order to scare away evil spirits in the dark autumn and winter nights. With the spreading of the Christianity, church bells were used as heralds of various significant developments: approaching danger, beginning of festivities, human birth or death and other important events. Later on the chiming became associated with festive occasions, particularly with the Christmas time, rather than with imminent danger. During the rule of Queen Victoria, people in Great Britain used small bells to accompany Christmas carols as they were lighter and cheaper than the traditional musical instruments. Fir-trees are decorated with Christmas lights (initially candles), garlands and tinsels, ornaments made of bird feathers and eggs, straw, bent-grass, fruit, vegetables and berries (the first Christmas trees were decorated with apples, nuts, bits of sugar and gingerbread). Bells also started to be used as such type of decoration world-wide. For example, in Liberia the most often used house-decoration is palm-tree branches festooned with bells. Nowadays, Christmas bells along with other types of bells can be found in the collections of many museums. Vaskikello Bell Museum in Finland where the number of bells on the display already has exceeded 1 500 is worth special mentioning. During the Christmas season, bells talk to us in different voices. The little bell hung on the Christmas tree tinkles touched by a falling fir-needle and the reflections cast by the burning candles light up the children's eyes. The popular Jingle Bells sleigh bells ring out cheerful and loud. Vilis Plūdons, a famous Latvian poet, associates a beautiful Christmas eve when forests and fields are wrapped in snow with the merry and clear sound of a bell. Church bells, in turn, solemnly notify billions of Christians world-wide of the birth of the God's Son. Nevertheless, regardless of the particular sound of those bells, they have only one message to tell: light is coming to this world and it is time to rejoice!